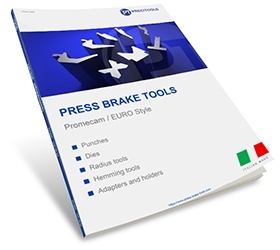 We offer rich selection of standard press brake tools for Promecam (European) Style system. 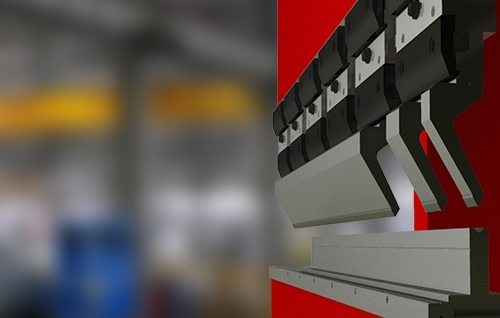 This system is usually installed on main European press brakes and 95% of press brakes with origin from Asia or Turkey. Promecam system is one of the most comfortable to use to follow low and medium tonnages with different variety of tooling for air bending. Press brake tools for machines: Accurl, ACL, Adira, AM Machinery, Amada, Astrida, Augusta, Axial, Baykal, Blecken, Boschert, Bystronic, Cematek, CMU, CoastOne, Colgar, Colly, Dener Makina, Deratech, Durma, Edward Pearson, Ermaksan, Euromac, Femas, Feysama, Fratelli Farina, GADE, Gasparini, Gecko, Gelber Bieger, Gilardi, Gizelis, Guifil, HACO (Atlantic), Harsle, Hammerle, Hesse, Hezinger, Hilalsan, IMAL, Inanlar, Ironmac, ITEK, Jean Perrot, JFMI, JMT USA, Jordi, Jouanel, KAAST, Karmet, Kingsland, Knuth, Kruman, LoirSafe, Mebusa, Mecos, MVD INAN, Nargesa, OMAG, Peliant, Probend, Rico, RMT, Salvagnini, Schiavi, Schroder, SMD, STR, Tabama, Teda, TCI Cutting, UZMA, Vartek, Vicla, Vimercati, Warcom, Yangli, YSD etc. 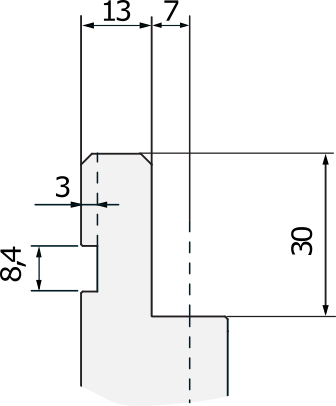 Press brakes with other tooling systems could work with Promecam dies if support flat bottom tools and for punches - through clamping adapters. Modification of holders for punches and dies available under request. Other lengths could be supplied under request. Solid pieces more than 835 mm are also available to supply but normally there is no necessary to use. C45 or C45 quenched, several punches produced with 42CrMo4. 42CrMo4 standard punches could be also requested but should be considered as special tooling. Withing hardened area of punch the radius could be modified for small additional price.